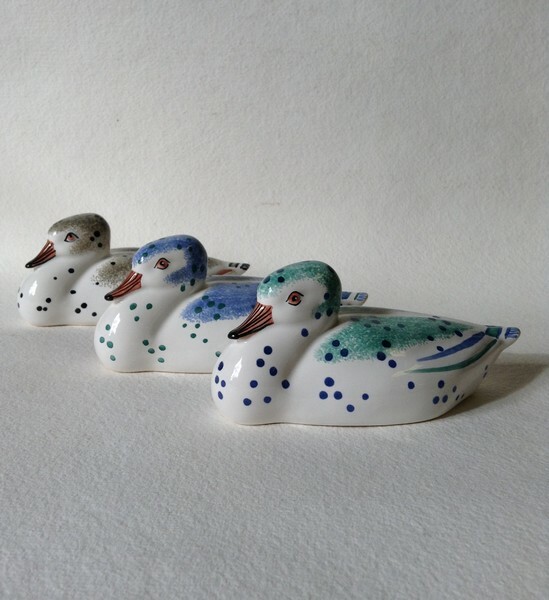 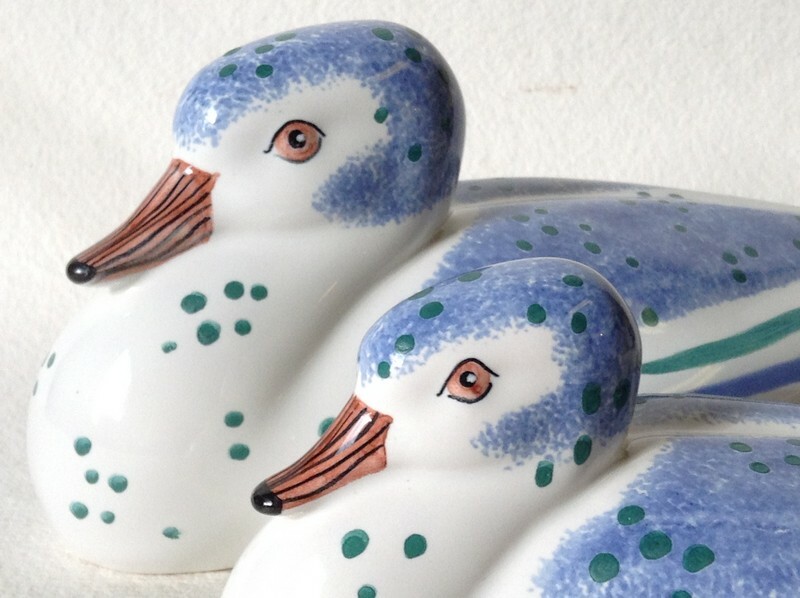 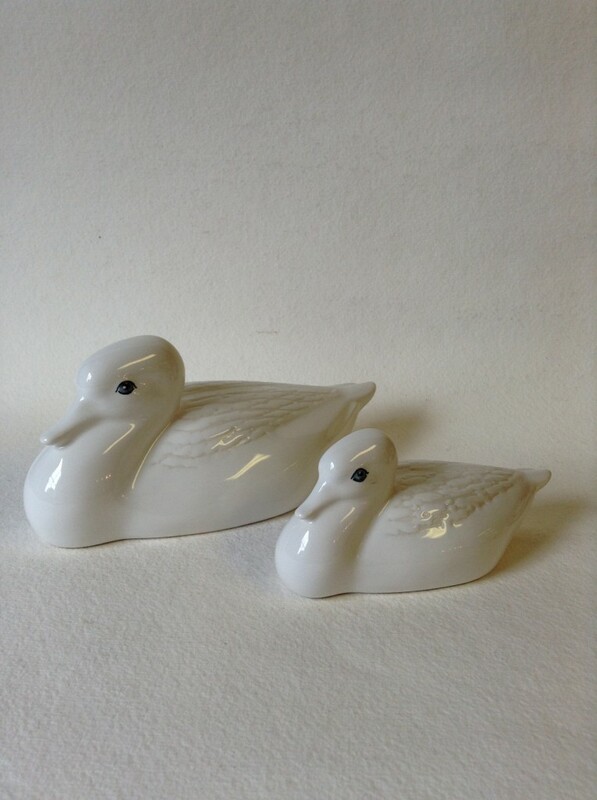 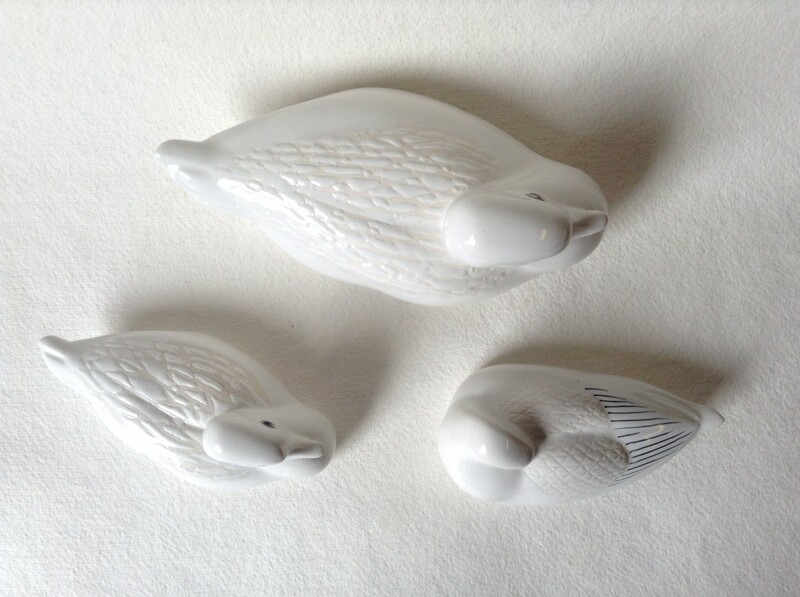 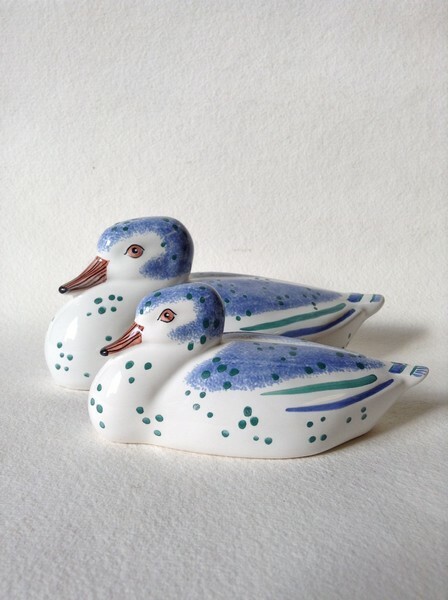 Modelled by Wally Cole MBE, the Rye Ducks are one of the ceramic animal figures Rye Pottery is best known for. 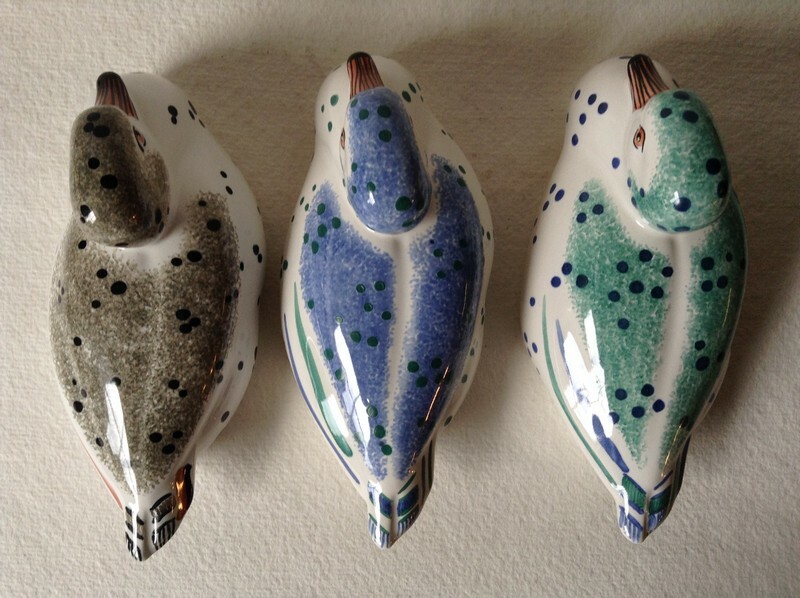 Although … maybe they’re joint first with our Robins now we think about it! Over the years both the large and small Ducks have been produced in a multitude of colours and patterns. 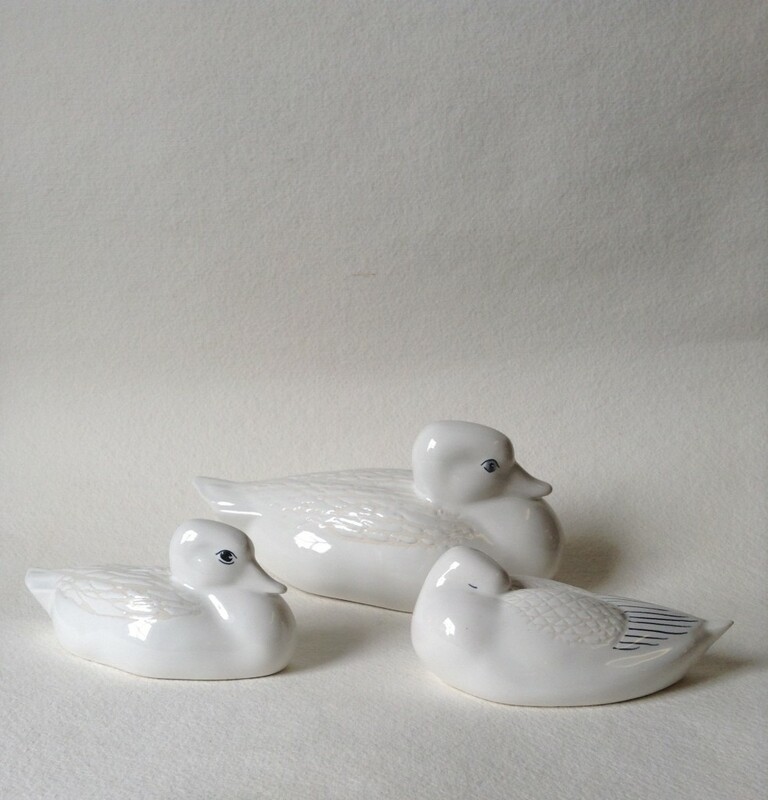 Right now we’re hand-decorating them in soft Delphinium, Jade or London Stone and new for Summer 2014 we’ve given our feathered friends their first new colours for the 21st Century as part of our All White Collection. 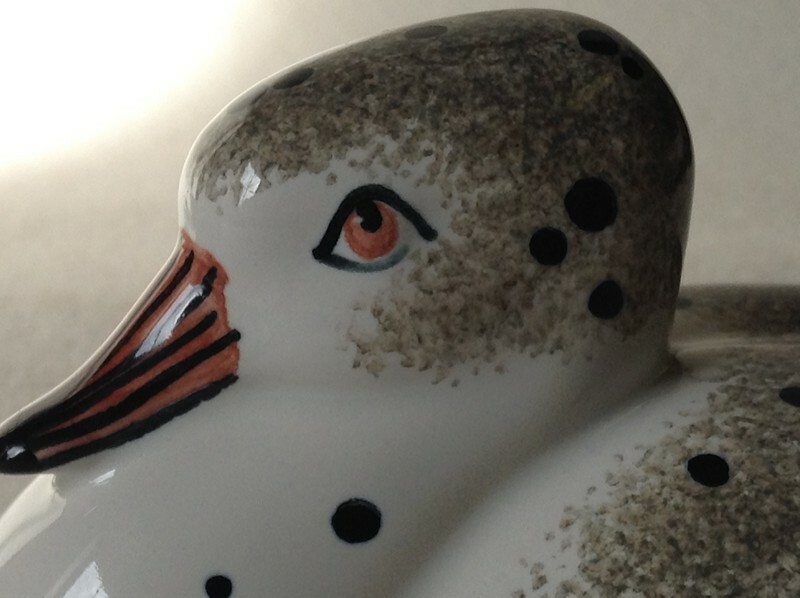 With textured wings that you just want to stroke, they have the gentlest of eyes.